It is the purpose of the pamphlet to place in the hands of the pupils of the seventh and eighth grades and also the Freshman dasses of high schools throughout the state, a concise and authoritative statement of the reason for the entrance of the United States into the present European war. 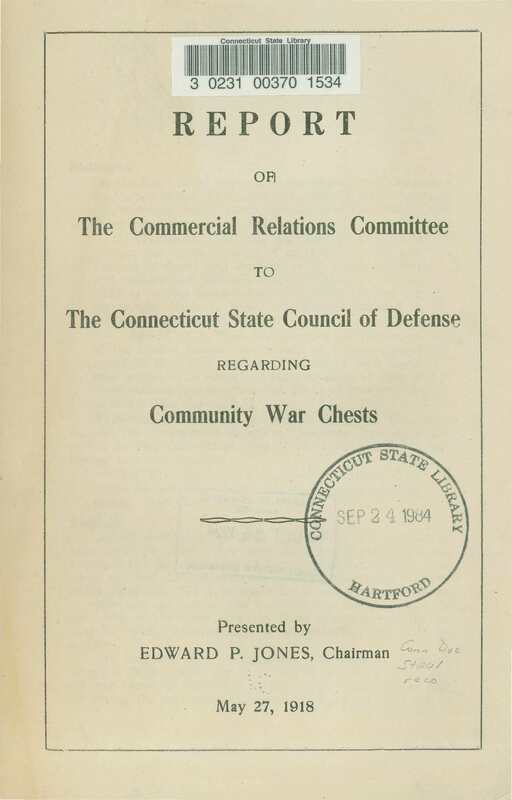 On April 26, 1917, under power vested in me by Chapter 44 of the Public Acts of 1917, I appointed the Connecticut State Council of Defense by proclamation, "with me and under my direction to conduct the prosecution of the war so far as concerns this state and with power to co-operate with other states and with the Federal Government." The great war began in the Balkans. The eye of the world has long turned toward this region as one where trouble might occur with little warning. In the Balkan peninsula there are four states of considerable importance-Greece, Bulgaria, Roumania and Serbia. In addition there are the two little kingdoms of Albania and Montenegro. In this second bulletin you are given the views- of citizens of your own state who have achieved the title to leadership of thought, or who are so associated with war work as to be able to speak with some degree of authority on the subject matter. To His Excellency, The Governor. Sir:-In accordance with Chapter 11, Section 13, Militia Law, l respectfully submit herewith a report "on the condition of the national guard, and such other matters relating to the militia" during the past two years.